The Latvian city of Daugavpils has introduced free public transport for residents over the age of 70, the municipality announced on its website last month. The service can be accessed with a special identity card, which residents can apply for by producing a passport, previously issued discount cards for public transport and a photograph. Amsterdam in the Netherlands is trialling a similar service for those receiving the state pension until the end of December. For the duration of the trial, eligible passengers can travel for free after 9am on weekdays and all day at weekends. Participation in the trial is means-tested to those over 65 who receive less than 110 per cent of the Netherlands statutory minimum income. Such policies are becoming more and more common across Europe. 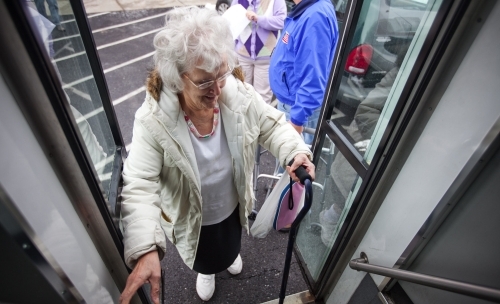 Cluj-Napoca in Romania also recently granted free public transport to older people in its urban area, based on requests from residents that free transport would reduce social exclusion. For more information on free public transport in Daugavpils, visit daugavpils.lv (in Latvian). For more information on the trial in Amsterdam, visit verkeersnet.nl (in Dutch).